In Matthew 4 Jesus is in the wilderness, fasting for 40 days and nights, Satan offered the kingdom of the earth to Jesus if he bowed down to him. He said, “Away from me, Satan! For it is written: ‘Worship the Lord your God, and serve him only.”( Matt 4:10). Jesus went on to Capernaum and proclaimed the gospel, healed the sick, and a great crowd followed him from everywhere. Q. What does this passage tell us about God and man? Four times in the passage, Jesus says, do not worry. Q. What do people worry about these days? People worry about their career, marriage, car, etc. You will never see a sparrow in a zoo, because the heavenly father cares even for the small birds. You are more valuable than the sparrows. So how much more will he take care of you? Matt 6:32- “For the pagans run after all these things, and your heavenly Father knows that you need them.” We don’t need to live like them. We will seek God first! What’s the result of that? Jesus says, all the other things will be added to us. They are not subtracted, but added. In every step that we take God is revealing his plan into our lives. We might not get them instantly, but we see the blessing later. The kingdom of God is the will of God being expressed here on earth- it is the government of God. it is about righteousness, peace, and Joy in the Holy Spirit. It is the power to see things transformed. We see from Jesus’ lifestyle that he fasted and prayed. He went through temptations too. But he said, you shall worship God alone and you shall serve Him first. 1. 1. Prayer- Jesus instructs his disciples to pray. Colin said last Sunday ( for last sunday's sermon click here)that we want to be a people of His presence, being transformed and reflecting his glory from one degree to another. We need to have a private time with God daily. We need to seek God in every decision we make. When we do that, there is a reward. He will add all things to us. 2. Worship- There are two kinds of worship- private and public. We need to seek him in both. We meet during the week. When you are isolated from the life of the church, you’re like the straddler in the herd who gets attacked by the lion. I have been transformed by being in the life of the church. God wants to use you in your community. 3. Giving- you cannot serve God and money. 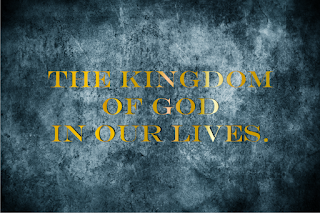 Jesus encourages us to lay our treasure in his kingdom which is eternal. Jim Elliot said, “he is no fool who gives what he cannot keep to gain what he cannot lose.” We need to give generously as we have been doing. It is more blessed to give than to receive. The other day I came across a man who was scary to look at. As I was singing- your kingdom come, your will be done! God spoke to me to go and pray for this man. I went and prayed for the man. I was looking for an instant miracle, but it did not happen, I said, “Believe in Jesus for a miracle”. After 2 days, I never saw him in that place again. God brings these kinds of people in our lives. Jesus wants us to go near them. Jesus was not ashamed of them. He wanted to bring the kingdom of God here on earth. He could have accepted the shortcut, but he wants to seek His kingdom here. He wants us to do greater things than he did. 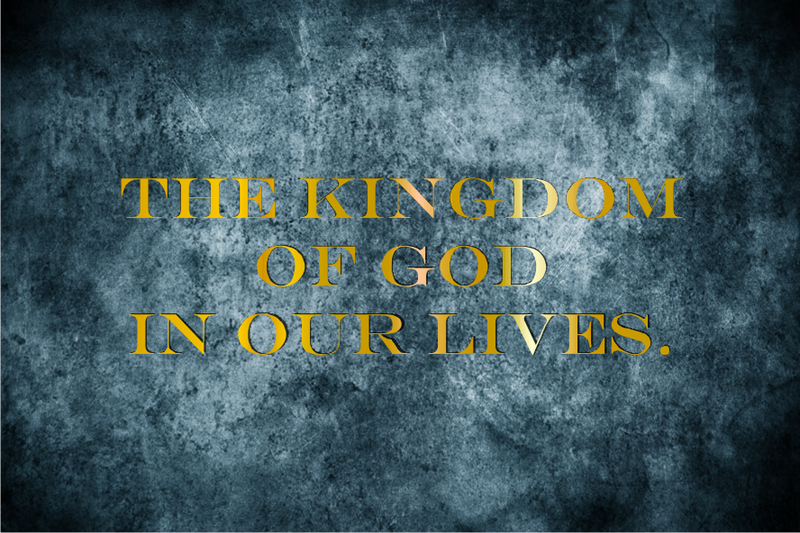 The kingdom of God is within you. Look around for opportunities to bring the kingdom of God where you live. 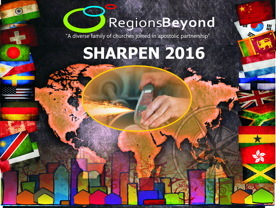 This message was preached at the RegionsBeyond India Leadership conference 2016. This message was preached by Edgar Nevis who leads Yeshu Krist Masiha Mandali in Nasik. Redefining the way we do things now. We came out of the world of evil and corrupt people that we were first. God is calling us back into that world. But we are different. We are going to change the world. The making of Samuel- Samuel grew up in the temple. He had no say in the matter. His mother put him in the temple. 1 Sam 1- Hannah was a wife of this priest. Hannah was not getting pregnant and was made fun of and tormented by the other wife. It seems almost like God put her through all of that so that she would offer her child to the temple. The priest loved Hannah more. So the other wife did not like it. Her response to a troubled situation was to torment another one. Whereas, Hannah’s response was to go to the Lord. In our troubled situation, we went to God. We are all sitting here because we went to God in our troubled situation. I’ve always been amazed at Jesus. He is the Lord of lords and King of kings. I speak about his supremacy as written in Colossians 1. And we hear Jesus say, I don’t do anything that I don’t see the father doing. In all his magnificence, he still humbles himself. Q. Who does Jesus always compare us with? How holy are we supposed to be? Pankaj or Gary...? We are to be as holy as He is holy. Q. How can we be compared with him? Be as loving as he is loving. The standard he has for us is so high. In my walk with God, I’ve gone through some difficult times. If you are dead you have no requirements. You live for Jesus. In every step of the day, I am living for Jesus. It doesn’t matter how they treat me. I was going to go to hell anyway, but now I’m going to heaven. Jesus has joined me into a body. Eph 4:16. As God has saved me and joined me into this body, and I am held together by these ligaments. We don’t have much choice to say, I don’t want to be joined. When I got married to Isabel- I fought to marry her. But soon, we found it difficult to adjust with one another. Before we got married, we had amazing chemistry! But once we got married, we were fighting so much!! When I asked my pastor, he said there is no feelings in love anymore. I thought he was mad, but I said there’s no harm in trying. It worked!! We learned to love each other. God showed me this- there has to be love that joins us together. She is so different from me and God showed me to enjoy that difference. In the body of Christ, we are different. The hand and foot are different, the requirements, needs, etc are different. We are joined together by ligaments. The head gives instructions to the body. The head decides what the body is going to do. We have to learn to respect one another. It was hard learning to respect Isabel’s gifts. I never wanted to be a pastor. And then I’m glad I have Isabel as my wife. Do you choose your kids? You have to learn your kid. Understand what they are- what is my role? I learnt to understand this body parts illustration through my personal experience. In Indian culture, where women are not treated with respect, we need to learn that our wives have real wisdom to give us. Jesus was an example of submission. I was abused by leaders, but I saw Him set it right. I don’t have to be afraid of submission. When we decide to be in an unbreakable fellowship with one another- we will obey his commands! Love one another. It starts with our own wives. Just work at it. We have our differences, but we’ve learnt to work it out. We are supposed to be the light of the world. We are going to show a different culture to the world. Q. Do we feel a permanent bond with people in your team? Change takes time. But we are going to allow for God to use us to bring about changes. We are joined together. 1. We want to pursue the presence of God. The Spirit of glory rests on us- we are glory carriers. 2. In order to lead, we need sacrificial servant leadership. 3. We want to see churches that are multicultural and multigenerational. 4. Being there for one another’s success- the moment we’re out of the womb, there is a race to excel. We need to get into the rat race. The culture of the kingdom is very different. In the kingdom, we are working for another’s success. a. Very early on in the Bible, in Gen 4:3-5 we see Cain and Abel. 2 brothers, with the same parents, background, culture, etc. there was division in the heart of man. The result is that Cain killed Abel due to envy. b. In Gen 17:9- we see Joseph who had dreams about his future, who’s father favoured him and who shared his dreams with his brothers. But the brothers were insecure and wanted to put an end to it. c. Saul- When Goliath challenged the Israelite army, David comes up and destroyed him. As David gets other victories people start singing, “Saul had his 1000s, David his 10,000s”. Instead of celebrating him, Saul was jealous. In our hearts, there is a tendency to be jealous just like that. It’s only Jesus and the power of the Holy Spirit that can change us. a. Jonathan- He loved David. 1 Sam 19:4- 6- “Jonathan spoke well of David to Saul his father and said to him, “Let not the king do wrong to his servant David; he has not wronged you, and what he has done has benefited you greatly. He took his life in his hands when he killed the Philistine. The Lord won a great victory for all Israel, and you saw it and were glad. Why then would you do wrong to an innocent man like David by killing him for no reason?”” Jonathan was next in line to be king. But David was supported by him a 100%. We want to be involved in encouraging others like Jonathan did. b. Barnabus: his real name was Joseph, but he was such an encourager that he came to be known as barnabus which means, ‘son of encouragement’. In Acts 9:26- “When he came to Jerusalem, he tried to join the disciples, but they were all afraid of him, not believing that he really was a disciple.” Saul got saved, and was looking for the disciples to join them. But they were afraid of Saul because of his history. But barnabus! Verse 27 says, “But Barnabas took him and brought him to the apostles.” He believed in Saul and his testimony and he travelled with him for the next few months. It takes great grace for someone who brings you in, to let you grow greater than them. It was Barnabus and Saul for a while and then it became Paul and Barnabus. Barnabus also encouraged John Mark who deserted the apostles. He took him on and later Paul remarks to send Mark because he is useful. Barnabus never wrote a book of the Bible, but we see that he encouraged two people who together wrote 14 books of the Bible. We need to cultivate a spirit of encouragement. Hebrews 3:13- “But encourage one another daily, as long as it is called “Today,” so that none of you may be hardened by sin’s deceitfulness”. So as long as it is today, encourage someone. Q.So, what are we looking for in others to encourage? · Look for good things in others. We can see specks in other people’s eyes. It takes grace to see the things we can pick up from each one. · Recognise their gifting. If Saul had embraced David’s anointing, they could have been great together. Phil 2:3-4 “Do nothing out of selfish ambition or vain conceit. Rather, in humility value others above yourselves, not looking to your own interests but each of you to the interests of the others.”. There are so many opportunities to encourage one another. Q. How can I help in them being all they are called to be? Crabs in a bucket, is not in the kingdom. Recognise gifting and anointing. Also, be cautious about mouthing the next slogan. It’ll take time in fleshing it out. 5. Cultivating a spirit of generosity and giving- John 3:16- God gave his most precious possession out of love. We are called to be imitators of him. For this, we need to move from poverty to wealth mentality. In poverty mentality, no matter how much money you possess, you are not content. You feel like you don’t have enough. Whereas the wealth mentality says that God has entrusted so much to me and I’m blessed in every way. I am a steward of his riches. We want to be a blessing. We are to reflect the heart of Jesus. The opposite of this is the spirit of entitlement which says I deserve this. Be a blessing. A pond has water that goes nowhere. It becomes stale and starts to give off a bad odour. But a pipe is used to direct thousands of litres of water through it. We are called to be a pipe. 6. Uplifting the poor- Luke 4:18- “The Spirit of the Lord is on me, because he has anointed me to proclaim good news to the poor.” 1 Sam 2:8- “He raises the poor from the dust and lifts the needy from the ash heap; he seats them with princes and has them inherit a throne of honour.” It is important to give them dignity and value and also the life-giving gospel. Let us put these things into practice and bring glory to God. This message was preached by Gary W who leades Urban Voice. 1. All teams need a leader. There are no specific scripture references. It is more through implication of how teams work. Sometimes when we have just one leader, it’s better than having a bad team. 2. People who chose to be in this team need to be servants. The people need to understand that we are there to serve the church. We serve the church because we are serving God. We serve with our leadership. This is upside down kingdom. Churches are not there to serve us. The team isn’t there to serve the senior guy. The senior guy is the bottom not the top. Jesus washes the feet of his disciples. Remember that he doesn’t discriminate between those who were going to leave him, betray him etc. He washed all their feet. He defines leadership with a bowl and towel. James and John’s mum comes to Jesus and asks him to make her sons sit at the right hand of God. The kind of people we choose need to be servants. Not those who want to be up front. Giving people positions too quickly is not helping them. They need to know how to lead well by serving. Who are the guys who are serving? Look out for them. 3. We need to pray – ask God to help us in recognising those who are called for leadership. Paul and Barnabus were sent out in the context of prayer and fasting. 4. Elder’s wives: as we gather a team wider than elders, it isn’t necessary for every elder’s wife to be in the team. Some should be there because they are gifted, God has called them, they have a leadership gift of their own, etc. But that isn’t a given for every wife who happens to be married to be an elder or who wants to be there. We need to avoid two extremes- that since you are an elder’s wife, you have to be there. The other extreme is not involving them because of the questions surrounding it. We have to move between these two extremes. Ask the same questions as you would ask anyone else in the team. There are male elders in the New Testament if we read it properly. Our churches are lead not just by elders, but also other people. In the letter to the Hebrews, it says obey your leaders, not elders. Paul also writes to overseers, not the elders. The notion of leadership of New Testament churches is broader than we thought. In Romans 16, Paul gives greetings to all. The obvious office is deacons. It’s difficult to see this with all the background we have. 5. Being deeply relational must be grounded. At Urban Voice- people say, we are very friendly. Being friendly to me is not the same as being my friend. People on the reception can be friendly to me, but they are not my friends. We are not lying when we’re friendly, we are warm and welcoming. But it doesn’t have what friendship has. It might be the beginning of friendship, but not the end. It has to be grounded in friendship. I genuinely don’t have the capacity to be deeply relational with all of you. But in the context of a team, we do have a capacity for that. This is beyond being polite. Q. Would I spend time with these people if we’re not working. Do they share your dining table with you? If the answer is no, you’re not friends. 6. Conflict: it’s inevitable in a team, because we have different personalities, and we are moving towards character changes. These could be differences of opinions etc. Knowing about ourselves is good, but recognising that neither of the responses (to fight it out or to back off) are right, is important. It’s not a helpful reaction to conflict. With mutual respect, it’s possible to navigate conflicts well. Faithful are the wounds of a friend. Sometimes, the ones with whom we are deeply relational wound us. But we are building. Don’t be scared of conflict. 7. Accountability- when we get some things wrong, the answer is not to not do them, but to do them properly. Some people misuse this. But we do need to make one another accountable. Nathan had to go to David, Paul had to challenge peter. In the context of a team, it’s all aspects of our lives. Sometimes when someone has a big gift, we are afraid to say something when they have obvious things that need to be challenged. This is a voluntary act. You give permission for people to speak into your life. 8. Submission: Richard foster defines it as laying down the burden of always getting your own way. If we take that attitude into team meetings, planning context. Many of us have what we have. We invest in the meetings, and when we get challenged, it feels like some sort of a personal attack. We need to humbly present what we have. There is not only one way to do the things we are called to do. 9. People need to have tasks- the particular activity they are responsible. Know what’s expected of them. What am I responsible to the team for? 10. Expectations- there might be some personal expectations of what you are called to do. If you have some prophetic words, it’s helpful for the team to be aware of what you’re believing God for. It is good to discuss your expectations for the future. You don’t want to know that someone is leaving after booking their tickets. You give them a heads up on what God is saying to you. But not to say that this is what God is saying- I know some of you don’t think it’s a good idea, but I’m going anyway. Trust a team that when you share it with them, to pray and to think, that they will come to the same conclusion- assuming that they are speaking to the same God. 11. We must reproduce: part of how the team functions together- is always bringing guys in as a training opportunity. Otherwise they’ll never learn. Then all we’ll learn from one pastor, to a few pastors, to a wider leadership and people who still can’t get in. Q. How do we raise elders, what is the process? A. There is always a lead elder, a team captain etc. In Newfrontiers, I have always been in a plurality of leaders. But there was always a leader of the leaders. There is some leadership there. It’s a wider team than just the elders. · He (the pastor)’s got to be convinced that he has to change. The worst step to take is to do something you are convinced to do. · Start teaching it to the church. It can be hard to admit that we have been doing something wrong for so many years. That I’ve changed the way I think about leadership takes some courage and humility. · Start meeting with people, etc. Start in these particular places. The goal is not a time goal. We might think it’s a good thing, but it’s not helpful in every single church we are in. We would like to see the process begin as soon as possible. There needs to be a wider accountability. Q. What is the difference in the role of a senior pastor and the other elders or leaders? · The guy who makes all the decisions and comes to team meetings with everything figured for what everyone must do. He’s not the final vote. · All authority in all aspects the church is run. Team members have responsibilities where she also has authority to do what they have to do. We don’t bring every decision back to the team. · Cast vision and will remind where we are heading. · Do most of the preaching in the church. · Through the preaching the lead elder will influence the whole of the church and move the church forward. Q. Is the lead elder or Pastor responsible for all the decisions? He’s not. Elders are responsible before God for their own eldership. Elders do have a responsibility that other leaders don’t have. Q. How do you balance maturity on a leadership team? There is leadership wisdom. But it’s unhelpful to say that you listen to me. There has to be succession. Churches are going to grow. If we are going to make this work, then our aim is to make the younger guy the lead elder and older ones supporting them. Q. How do we deal with elders’ wives in our cultural context? We have gifted women with great characters, strange personalities who should be involved in shaping the church. In different cultures, we are getting there. Because it’s a process, we have to go with it and not trip it up. We don’t have enough role models of gifted women and the sooner we get there it’s better for our women to get through. Indian culture is changing a lot. Indian women are changing in their values as well. There is a lot of change happening in your culture and you need to be aware of this within men-women relationships, authority relationships. We can’t keep tossing the culture card to not do certain things. There are good things in your culture that are helpful for the gospel and some awful things that need changing. Recognise the difference between the two. Q. How do we function in areas where we do not have the gifting and there is no one who is rising up to it? Gifts – if you are not enjoying what you are doing you maybe need to stop to need help. Sometimes the call of God you need to do it. How do you marry the two? I think if God calls you to something he changes your heart to like it. Sometimes we do have things we just have to do. There is no one specially gifted to put out chairs, but you just do it. I’m here to speak about the Grace of God, the faithfulness of God and tell you my story. Grace is one of the distinctive of Regions Beyond and New Frontiers. Paul is reminding us of the gospel. There was a time in all of when we were foolish. It’s true even for the very nice people amongst us. Deceived... lost. ‘But when the kindness and love of God’- the grace of God is really about his love. It’s because of his mercy that we are saved. Grace makes us different from all other people of other religions. Never lose sight of that. We believe in the new birth—the new life which he poured out on us so generously. Having been justified by his grace, we might become heirs of eternal life. Romans- grace of God brought us to a place of faith. This is good doctrine. 1 Corinthians 1: 4- about the divisions that exist in the church. He speaks to a curch with a lot of problems. Yet he starts this way. If you have Jesus, you have grace. He was thanking God for the grace given him in Jesus. Grace is about the riches of God. In verse 7 he talks about the hope of eternal life. At the heart of this idea of grace is the idea of gift. John 3:16- when you love, you give. Grace is God’s free gift. He says you don’t lack any spiritual gift. A gift is not a badge you get for becoming mature in the God. A new born Christian can operate in all of the gifts because they really are gifts. v.8- he’s saying that you began by the grace of God and the grace of God will take you till the end. That is how we begin and that’s how we go on. Grace will never end. 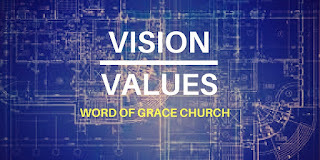 v.9- God, grace begins with God. He initiates it. God is faithful. Grace is not a doctrine that stands on its own. It sets us free from works, striving, etc. but the grace of God takes us somewhere. Where? Into fellowship with his son. Grace takes us to Jesus. It’s a foretaste of heaven. 1 Cor 1:26- 27 God has chosen us. It’s not about us, but him. He chooses the weak because in our weakness, he is displayed strong. Free us from pride, deliver us from jealousy and competition. Your grace is enough. Q. Why are you a Christian? Because of him, to hold of you and put you in him. We have no part to play in bringing us to life. We are in Christ Jesus because he initiated it. Jesus is our wisdom. Jesus is all my righteousness, all my redemption. Outside of Jesus, I have no righteousness at all. He is all our righteousness. I stand in him, and I worship him. God has no plan to take us out. Gal 2:21- “I do not set aside the grace of God, for if righteousness could be gained through the law, Christ died for nothing!” But he didn’t die for nothing. Many years later- Joshua- 24:2-4 Joshua is reminding us that Abraham was from a family that worshipped other gods- Idol worshippers. But God took hold of him. Not because there was something good in Abraham. But God says, leave... I have a plan for you. God has a plan to bring blessing to the whole world. Ultimately through Abraham came Jesus. In 1994, I was living in Cape Town, to become the principal of a small Christian school. I was tired and felt like I needed a holiday. I was excited because I’ll get to rest at this conference- in a nice hotel. Around 3 in the morning, listening to a CD, I started having an encounter with God. He was sending me. I told my wife. And she had an encounter too- commissioning and sending. We were driving to the ground of the hotel and as we drive through there were peacocks. God was reassuring us. At the beginning of the conference they asked for people who were being called to relocate up to the front. I saw Jesus gathering the nations of the world to himself. Saying, you get a part to play in this. That’s how the conference started. It took us two years of preparation before we could leave. There was a season where people were leaving from place to place to advance the gospel. In our local church, we were the third couple who felt they had a call to India. The other two families came to India, looked and changed their mind. So when it came to us, they were not getting behind us financially. I did not know how we were going to get through. But God had called us. I’m not in the habit of saying no to God, when God calls you, you go. We had enough money for 3 months. A friend living in Noida offered for us to stay with him. We were praying. Went back to Cape Town. We got a student visa with which we could stay longer. My story is really that God is faithful. After 20 years, there have been some tough times, but God has been faithful. Again and again, God provided for us. Call to Varanasi- we were in a church, quiet comfortable. While reading Michael Eaton’s book- happiness in God’s will- Nehemiah- these families did not want to go to Jerusalem. God sent us to a new area. It’s not a modern city, with all of its comforts. Jerusalem was not a comfortable city, it was an ancient city. A dangerous city- sometimes God’s will for us is not what we would like to be. Happiness is to be in the will of God- wherever that is. Even it is a place you not rather choose. It takes some readjusting of our outlook to see that his will is perfect. God places his people in a way that will expand his kingdom. He wants to expand his kingdom. He is sending you so that his kingdom will advance. Where God places a mounting challenge upon us, like relocating a home or ministry, the result is extending his kingdom. There was a sense of freedom and joy. We don’t have many people, but we have some wonderful people. When he calls us, we can cliam the promise given to Abraham- that he will make us a nation and children like the stars in the sky. Abraham had only one. It was much later that we have the nation of Israel from one man. God is going to make us into a mighty nation. Is 60:22- “The least of you will become a thousand, the smallest a mighty nation. I am the Lord; in its time I will do this swiftly.” I believe a day is coming for all of us, to give us an inheritance of sons and daughters. Life of David: In 2 Sam 7: 1 Samuel anointed David and as soon as that happened he was in trouble. That s the sign that you are full of the Holy Spirit. David went through so many hardships. He was running for his life. He went to the temple and asked for bread. He was starving. They were persecuted by Saul. I think some of us have gone through hardships. We are going through hardship. David went through worse and eventually the days of hardship were over. Q. What was in his heart? To honour God, to build him a temple. He was flawed but he was a lover of God. I think God looked at David and saw this heart. In 2 Sam 6- 8 God says, I took you from following those sheep, and made you a leader of my people. And he was with him wherever he went. That’s the grace of God. v.9- 11 God’s grace gives us rest. v.11- the punchline. God spoke to me from this passage. That he will give us the church. He wants to do something for us- to gather people to you, to build the church. The last 5 years have been the happiest years in my life. It is what God does for us. It is astonishing! v.12the scale of it is astonishing. He says I will not reject Solomon the way I rejected Saul. God may discipline us, but he will never remove his love from us. Once a son or daughter, always a son or daughter. We are secure in the grace of God. Grace is about what I do, not what you do. And it may not be what we do but what our sons and daughters do. God’s kingdom endures forever. In Luke he says, fear not, it is the father’s good pleasure to give you to the kingdom. Daniel 7 says that saints will inherit the kingdom forever. David’s speaks of himself as being God’s servant. He knew it wasn’t about him but about his house and his glory. When we understand the grace of God we just worship him. Eph 3: 7- 8 Paul- it’s by God’s grace that he calls us to leadership and to serving in the church of God. It is a privilege. We are the foolish and the weak, but the grace of God was given to us to get the unsearchable riches of God.